Copacabana Family Accommodation - Views Forever. House set on the cliff face of Copacabana. 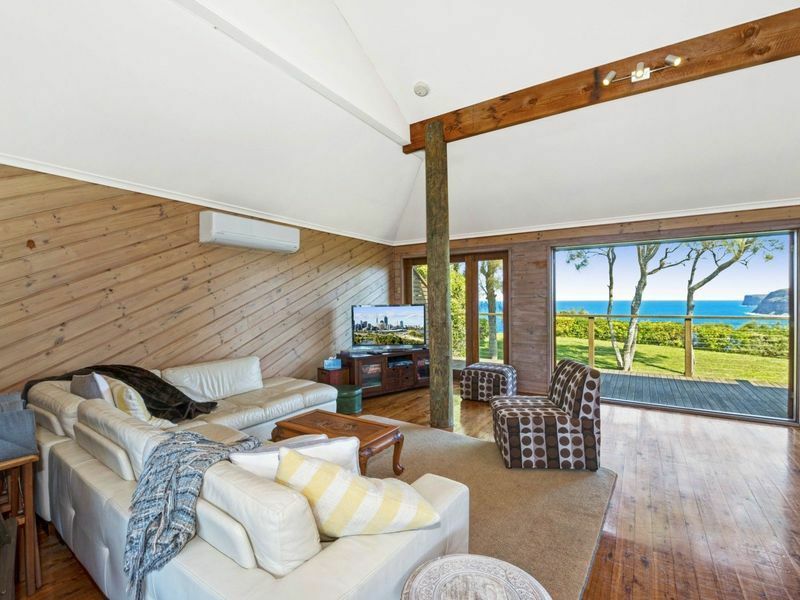 A rustic style cottage, featuring open plan kitchen/living and AMAZING ocean views. Kitchen has dishwasher, etc. Great deck to enjoy the view facing the ocean and another deck facing the valley. Easy stroll to the beach, shops and restaurants of Copacabana. Main bedroom has a queen size bed with a separate sitting area, bedroom two has a queen size bed, bedroom three has two singles. Linen not provided. Downstairs is a modern bathroom with spa bath and another toilet. Laundry also downstairs. This property is situated on a clifftop which isn't fenced. Not suitable for toddlers.